How does the Mahindra Marazzo, the company’s latest MPV, stack up against the existing offerings in the segment? The closest competitor in terms of both price and body type, the Ertiga was the go-to MPV for those who could not buy the (comparatively) astronomically priced Toyota Innova Crysta. The standard with which all MPVs in India are compared, the Innova Crysta had to be included even though its base model is almost Rs 2 lakh more than the top-of-the-line Marazzo! While many consider it an SUV and Honda wants you to believe so, the BR-V is basically a tougher looking Mobilio MPV. It is priced very similarly to the Marazzo too, making this an almost direct comparison. Priced at a premium compared to the Marazzo, Mahindra’s first attempt at making a monocoque people mover, has some variants overlapping with its sibling. Tata’s answer to the Innova Crysta makes a good case for itself as a family hauler. The only direct competition here is the Honda BR-V, while both the XUV500 W7 and Hexa XM (one-above-base variant) are close to the Marazzo in terms of price. The Ertiga is more than Rs 3 lakh cheaper, while the base Innova is almost Rs 5 lakh more expensive. The Marazzo is overshadowed by the Hexa and the Innova in almost every dimension, but the Marazzo is not small by any measure. A wheelbase longer than the Innova Crysta, along with the fact that it has a transverse mounted engine, translates to acres of space inside. The Maruti Suzuki Ertiga, on the other hand, is the shortest MPV in terms of overall length and the narrowest in its class. The Marazzo is only offered with a diesel engine, for now, hence we are only comparing it with the corresponding diesel variants of the competition. The 1.5-litre diesel engine on the Marazzo seems a bit underpowered for an MPV this big, but as we found out during the first drive, it is adequate to haul the 1640kg vehicle. Understandably, the monocoque chassis-equipped Ertiga and the BR-V are the most efficient. But the Marazzo is the king among the ladder-on-frame MPVs, which can be attributed to a relatively lighter weight and the unique transverse mounted, front wheel drive only driveline. We will have to wait till 2020 for Mahindra to introduce petrol and automatic variants, to pit it against the competition. The Mahindra Marazzo may be criticised for not offering more airbags. But then, only the more expensive Innova Crysta offers an extra knee airbag for the driver, while the rest make do with dual front airbags. ISOFIX child seat anchor points are a relatively recent phenomenon, which explains the Hexa, BR-V, XUV500 and Ertiga not being offered with it. A reverse parking camera should be offered as standard in cars as big as these; even the Marazzo is not offered with one in its lower variants. The Innova Crysta, XUV500 and Hexa should have been offered with a reverse camera, considering how expensive they are. 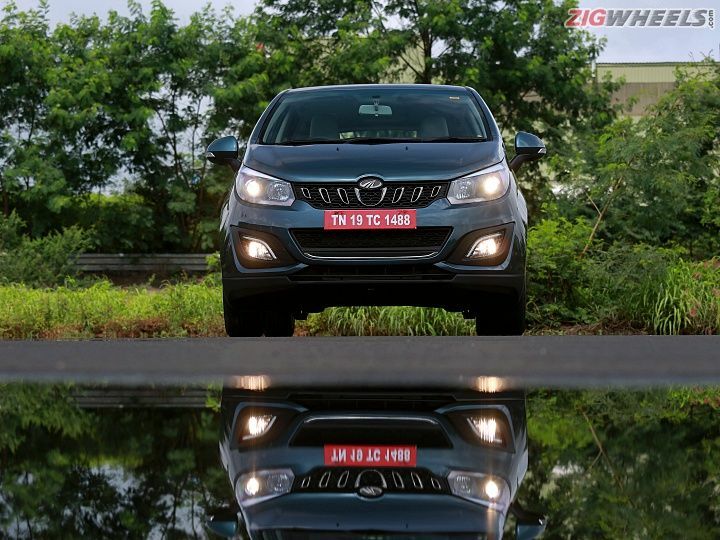 The specs reaffirm the fact that Mahindra has positioned the Marazzo perfectly in between the MPV stalwarts such as the Maruti Suzuki Ertiga and the Toyota Innova Crysta. For now, the Marazzo is the MPV to go for if one wants a more premium product than the ageing Ertiga but cannot afford the Innova Crysta. That said, the Marazzo also seems to be a good alternative to SUVs like the BR-V, XUV500 and even the Hexa. The height and engine power are issues. Rest if it does not carry the problems inherent in Mahindra products, it can be a game changer. The height and engine power are issues. Rest if it does not carry the problems inherent in Mahindra products, it can be a game changer. Nice article. A brief overview of Marazzo with all it's competitors. Nice article. A brief overview of Marazzo with all it's competitors.